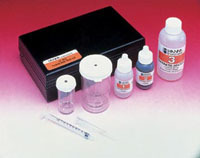 Hanna Instruments total iron test kit HI38040. 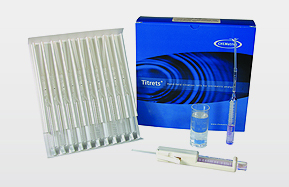 Tests for total iron in the range 0.0-5.0 mg/L with accuracy of 0.1 mg/L. 100 tests in the kit. 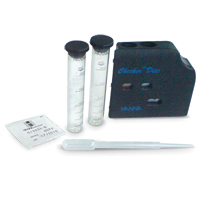 Hanna Instruments total iron test kit HI38041. 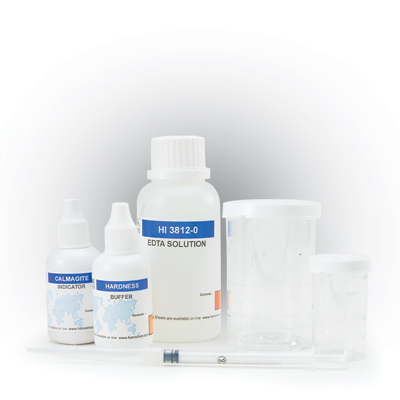 Measures total iron in the range 0.0 to 10.0 mg/L with 0.2 mg/L resolution. Kit contains 100 tests. 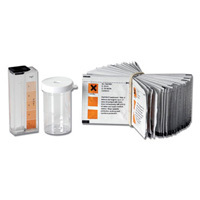 Macherey Nagel 931026 Visocolor ECO iron test kit 0 - 1.